18th January 2019. 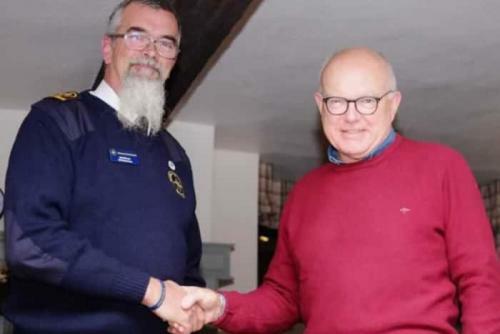 The National Coastwatch Institution station at Mablethorpe recently welcomed Andrew Ashwood, Worshipful Master of Hamilton Lodge Alford,, who presented a charitable donation to Station Manager Rob Druce and his team. The donation will support the team in their vital work, watching over Mablethorpe beach for 365 days a year to ensure that all beach and sea users are safe, and contacting HM Coastguard when required. The Mablethorpe Station has been operational on the site for 10 years.